I have never been a fan of Matt Damon. I was crushing Ben Affleck more because he’s so manly and he looks much taller than Matt. 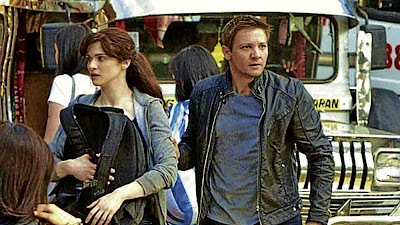 I know, I’m weird that way :P So when I found out that Jeremy Renner was playing the new Bourne installment ,(and you just gotta love him as Hawkeye and from Mission Impossible Ghost Protocol!) plus the fact that it was shot here in the Philippines, (where I’ve been a victim by the huge traffic in Manila for two months) I already know that I HAVE TO watch this film. As I’ve said, I’ve never been a fan of Matt Damon, so The Bourne Legacy is the first Bourne series that I’ve watched, and boy, did it never disappointed me. Thanks to Nuffnang and Mandaue Foam, I got to watch the film for free at the Shang Cineplex of EDSA Shangrila Mall last August 10. 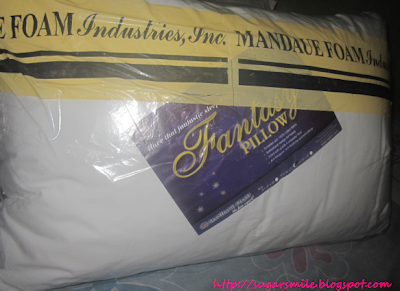 And we even got to take home Mandaue Foam's Fantasy Pillow. 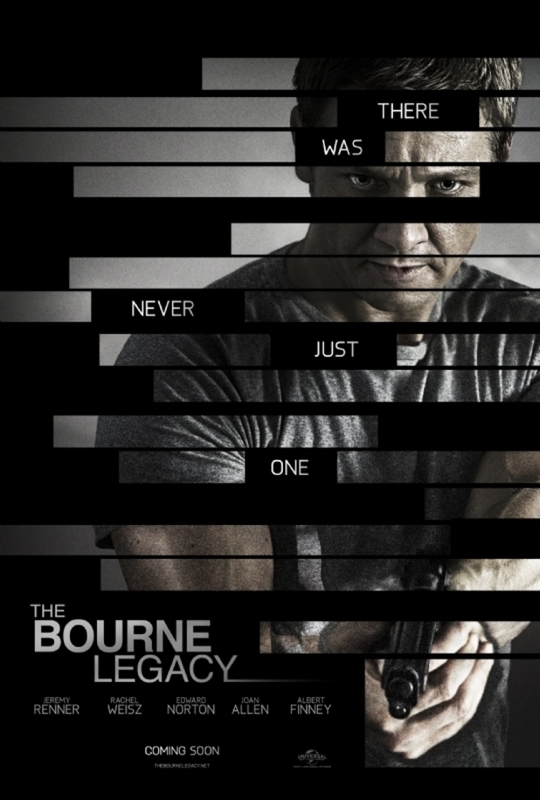 So I don't have a backgrounder for the Bourne Series, so I'll just charge this from what I've seen from the movie. 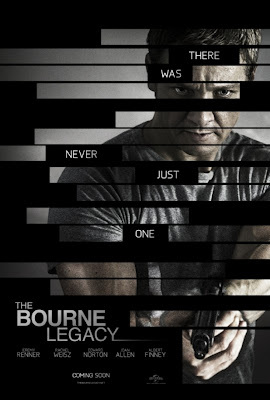 Jeremy Renner is Aaron Cross from the Bourne Legacy. As told to me by my friends, Aaron and Jason Bourne are cut out from the Department of Defense's special program, Operation Outcome, that makes ordinary people to be very special agents and spies. One of them said an assassin, so please correct me if I'm wrong. The movie started with Aaron being alone in a very snowy place and found this guy who's also like himself, an agent. But when they started shutting down the program, they have to shut down their agents as well. One by one, they were being eliminated, but Aaron, having the drive, was sustained because of his will to live. But as Dr. Marta Shearing's (Rachel Weisz) colleague got into a really bad shape, he killed all the doctors who are part of the team who works for the drugs and viruses that were used for the special agents. Fortunately for Dr. Shearing, she survived the killing, but her life was never the same, especially when she met Aaron while he was saving her life. When Aaron wanted to survive by getting his chems (that's how they call their pills), Dr. Shearing broke the news to him that there were none of it left in the US but they have to go to Manila, Philippines to get the virus that are used in creating the pills to inject him. As they went to the Philippines, they went to the factory where he could get the pill from. But the chase goes on as they were able to track Dr. Shearing's flight and found Aaron as well. A goose chase between the Manila Police and Aaron and Marta was staged until they landed on a fish port where they met a fisherman to help them sail wherever they could hide. The motorcycle scene was the best part of them all. They highlighted our busiest streets and yet, they all look as if its not shot in Manila. But most of all, we were awed by the beauty of Palawan. I hope I can visit it this year or next. Even their director raves about the place. Many people say that the movie was left hanging. Or maybe its the director's way of saying there might be another part of it. But overall, I give this movie 4 Stars. You just gotta love the suspense!